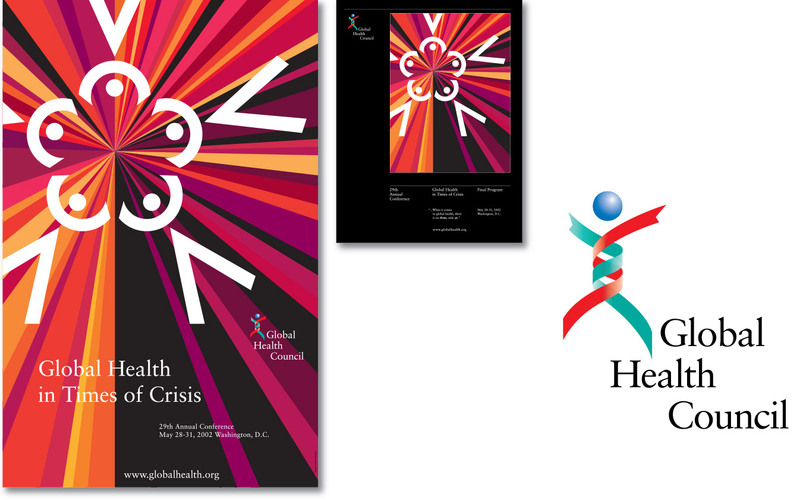 Following the creation of its new logo and stationery program, the Global Health Council asked CGD to design a souvenir poster for the Council’s 26th Annual Conference and to adapt the poster motif to the cover of the Conference program. CGD developed a “graphic textile” based on the repetition of a stylized human pictogram organically interwoven with the medical cross. Color permutations within each module interact to create a pulsating matrix of luminosity. 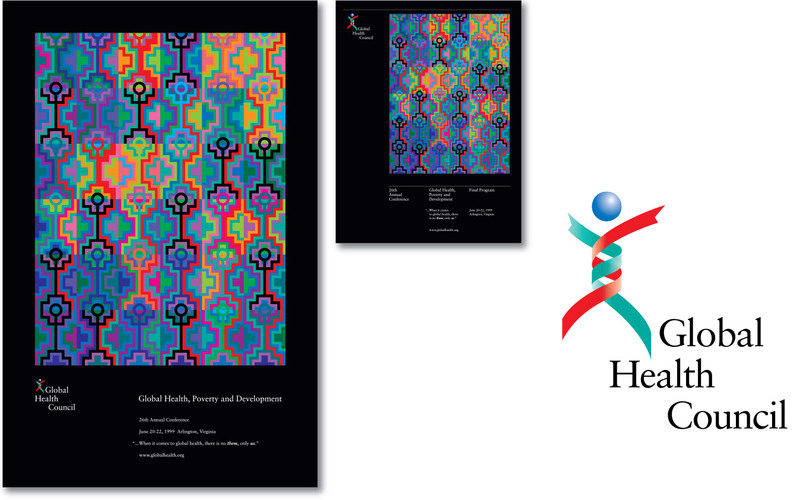 CGD was subsequently re-engaged to design the posters and program covers for the Council’s 29th, 30th, and 31st Conferences. 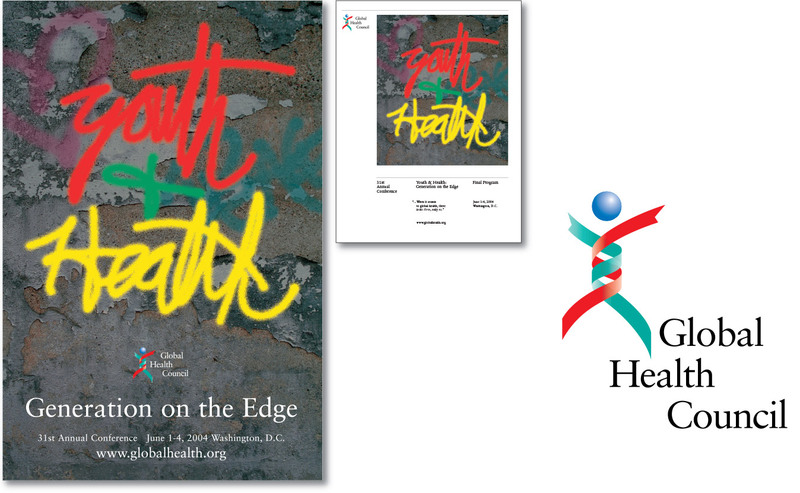 Close collaboration with the organization’s Publications Director produced visual ideas appropriate to the theme and spirit of each conference.